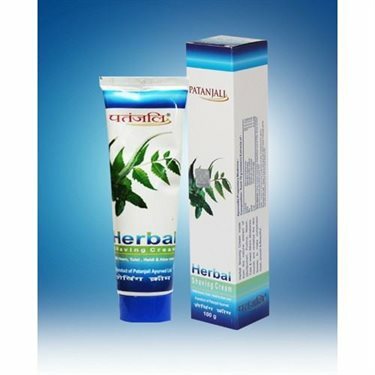 Herbal shaving cream made from the natural extract of Ghritkumari, Pudina, Neem, Tulsi & Haldi which moisturize, nourish and revitalize the skin tissues, to make complexion fresh, smooth and beautiful. Uses: Useful in Dryness & roughness of skin. It protects from germs. Method of Uses : Apply 1 - 2 gm on wet face with warm water massage gently with soft shaving brush then feel the best ever.